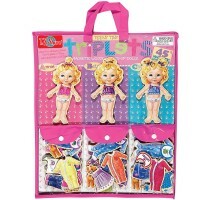 This Daisy Girls Pets and Vet magnetic dress-up playset comes with a magnetic doll vet, 2 dogs, cat, and 40 style pieces to clothe them with great fashions. 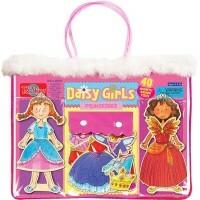 Daisy Girls Pets and Vet Wooden Magnetic Dress-Up Dolls Set combines two girls' favorite play things: pets and dress-up. 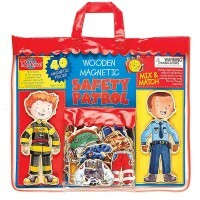 This new T.S.Shure magnetic dress-up set comes with a wooden doll that loves pets and wants to be a vet doctor, and needs some style suggestions. 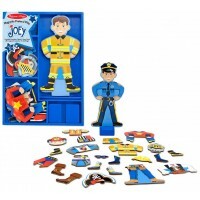 This magnetic dress-up playset features 2 cute dogs and an adorable cat that have to dress up for their vet visit, walk in a park, or pet show. 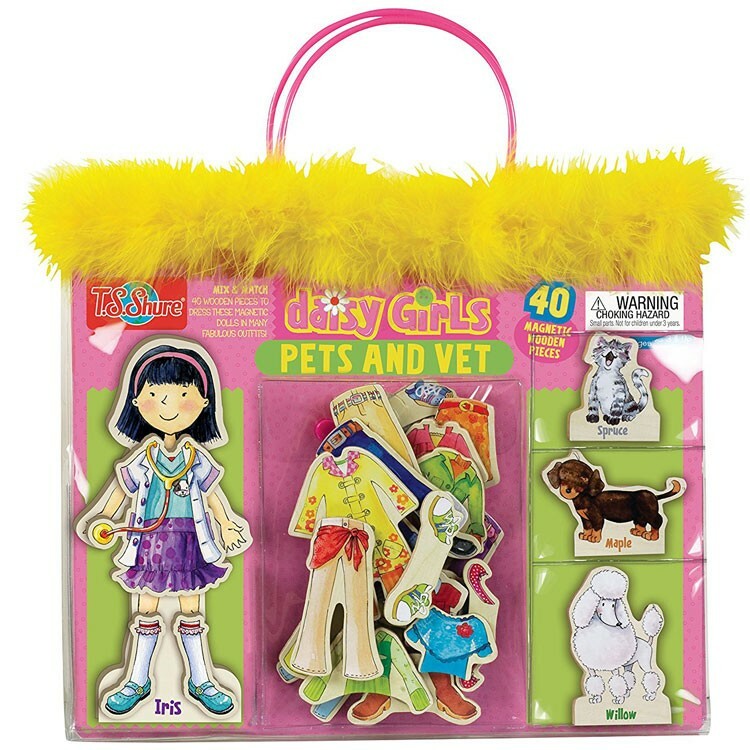 With 40 colorful pieces from this pretend vet playset your girl will be able to find a perfect fashion combination for every magnetic character. 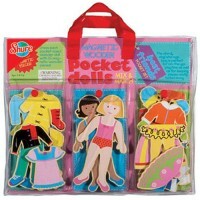 Daisy Girls Pets and Vet Wooden Magnetic Dress-Up Dolls Set lets your girl playing with doll and pet wooden figurines and play a pet doctor at the same time. 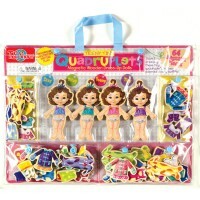 This Educational Toys Planet's magnetic dress-up set is easy to carry and store, and terrific to take along visiting grandma. With a nice yellow feather trimmed carrying case, you can play dress-up anywhere! 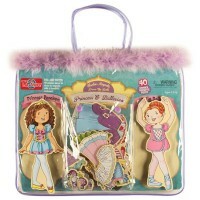 Let's talk about fashion and pet care playing with this Daisy Girls dress-up set. 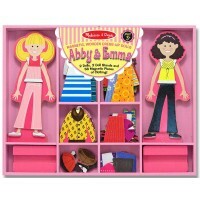 Write your own review of Daisy Girls Pets and Vet Wooden Magnetic Dress-Up Dolls Set.